PMC will develop a service culture that is in alignment with your vision; one that drives the guest experience and provides value for guests through an unparalleled arrival and departure from the property. Book Parking Management Company for your hotel! PMC will develop a service culture that is in alignment with your vision; one that drives the guest experience and provides value for guests through an unparalleled arrival and departure from the property. A guest’s arrival and departure experiences are an opportunity for interactions that extend well beyond the front door. We capitalize on this opportunity by taking the time to truly understand your vision for the guest experience. Patrons arriving at our partners’ front doors know to expect eye contact, a warm smile, and a sincere welcome. Each guest’s door is opened by assisting team members as we explain the parking amenities in full detail. Departing patrons will observe vehicles being delivered swiftly and safely under the direction of the team leader. Many hotels choose to provide their guests with a superior arrival and departure experience through the use of valet services. However, there are a select number that choose to take the entire encounter further. Bell services, when operated in connection with valet, provide a true door-to-door arrival and departure experience for your guests. At many of the hotels we operate, PMC manages bell service in connection with valet and shuttle service. 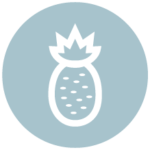 There are many synergies created by combining these amenities, both for you and for your patrons. These synergies yield higher service scores through positively impactful guest experiences and help to eliminate labor redundancies for maximized efficiencies. An effective shuttle solution will be an extension of the arrival and departure experience provided on property. Whether the shuttle is being used for family vacation or business travel, each guest should feel confident that the shuttle operator will provide the same level of service as all property team members: being friendly, helpful, and proactive, and having been trained thoroughly on both the details of the property and local area amenities. A guest’s arrival and departure experiences are an opportunity for guest interactions that extend well beyond the front door. We capitalize on this opportunity by taking the time to truly understand your vision for the guest experience. Many hotels choose to provide their guests with an arrival experience through the use of valet services. However, there are a select number that seek to take the arrival and departure experience further. Bell services, when operated in connection with valet, provide a true door-to-door arrival and departure experience for your guests. 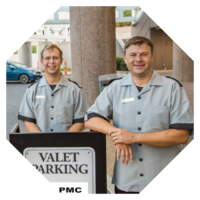 At many of the hotels we operate, PMC manages bell service in connection with valet and shuttle service. There are many synergies created by combining these guest experiences, both for you and for your guests.